4/19/2001: There have been further revisions. Material that would distract, waste analysis time and energy, or is mostly irrelevant to the issues at hand has been removed. The original file can be found here. (Material added 4/19/2001) see: Silver poisoning. In addition to the railroad safety invention, I have invented many other technologies. Some I will describe in this letter. (Material added 4/19/2001) At the time, I said I would rather suffer and die if it was necessary to serve God than to sell my soul to be a rock musician. To listen to these songs, click on the link, then choose open file from the window that pops up. This will load your mp3 player and start playing. In the Fixx songs, listen for Athena, and a reference to bomb (mentioned in Athena.mp3) and teeth and empty faces (silver poisoning) . Listen to these three songs, and no doubt should remain that there was indeed something strange going on in early 1982. 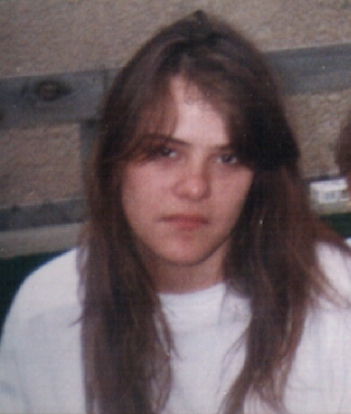 This is my daughter, Athena Marie Gatzke, in 1994 at age 18. The Who thought I had gone off the deep end ("Check this out, he's talking about God now..."). Other musicians had different reactions. My middle name is John. 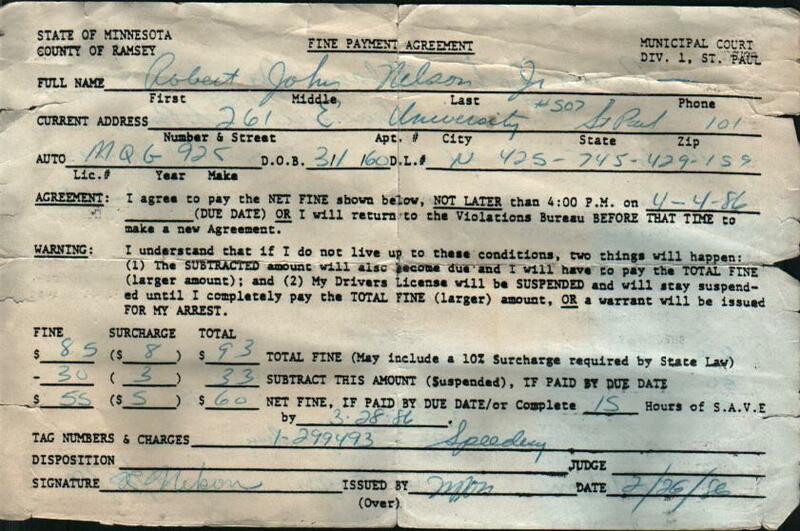 Back in 1982, I sometimes used the nickname Johnny (long story). Some of the musicians referred to me that way because of that and for legal reasons (like avoiding being sued or too obvious after I had complained to the FCC and the FBI). After I had the vision, it was obvious to me that it had been some criminal scum trying to sucker me into helping me unknowingly run their lame religious scam. I didn't get suckered into it and sell my soul like AC/DC did. When I knew it was a scam and not some bizarre spiritual goings on, I started speaking to the wall, knowing the lamers were there listening, and began speaking generalities about the non wisdom spiritually of what they had been doing, basically that they should wake up and die right, lest an unpleasant destiny be visited upon them. That one contains some references that pertained but which I cannot describe in a reasonable amount of space. This next one is more obvious. Elton John was the only one who figured it out and saw it for what it was: This was his reaction to seeing someone driven to the point of suicide, and then having a vision upon seriously contemplating and attempting it. The gardener being referred to is obviously God. I could have had support from the decent musicians, if for no other reason that they did not approve of the religious scam that lamers had attempted to pull right in front of their faces. I could have, in other words, became a guitar player in a band, but my goal had changed from being a musician to being an inventor. I could produce further references, some being at least as obvious, but my CD burner is not reliable enough to burn large data CD-Roms. At any rate, I claim to have had this vision, and I have produced a fair number of working and valuable technologies. (Material added 4/19/2001) Burlington Northern could not be faulted if they claimed inventorship and obtained a patent for this invention. I dropped it off at BN headquarters in the late summer of 1984, moved shortly afterwards and left no forwarding address, and did not attempt to contact them again until 1992 with the original form of this letter. The technology saves lives, and saves the ralroads many millions of dollars. It would be irresponsible, and perhaps even illegal, for BN not to act in the best interests of their shareholders. (Material added 4/19/2001) This manifests itself at the subconcious level, and therefore cannot be limited or controlled. It places restrictive limits on what motivation or ambitions I might otherwise have had. The facts are the facts, and the subconcious mind is not incapable of recognizing them and imposing its own solutions upon the body and concious mind. 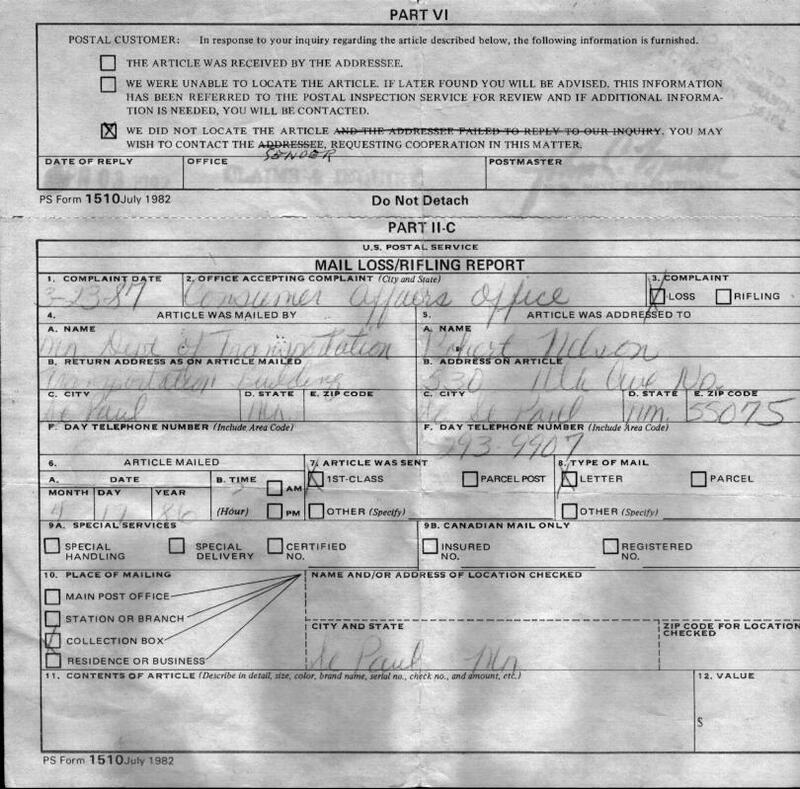 (Material deleted 4/19/2001) This material contains too much detail that would cloud the issues at hand, and I cannot prove all of it. It should, however, be read at a later date in the original file. Preface for the next paragraphs: See: Silver Poisoning to see how one's sleep schedule can be destroyed. (Material added 4/19/2001) The criminal problems and censorship I found on the internet have shown that I am not likely to make a profit by programming and selling the programs on the internet. My enemies would steal any profit, and I would get nothing. Preface for the next few paragraphs: The reference to TV technologies in the nest paragraph refers to material in the original file that was removed. As of this date, 4/19/2001, Athena is 25 years old, and has had to endure many unpleasant experiences as a result of my decimated financial state. Preface for the next paragraphs. See: Silver Poisoning to see how one's sleep schedule can be destroyed. This letter is dated in 1992: I did not learn that the problem was actually silver poisoning until 1993.